Stop reading this if you’re afraid of heights. Soaring 88 stories above the ground is this HIGH quality gem 360 Bar & Dining. A must-visit when you’re in Sydney. 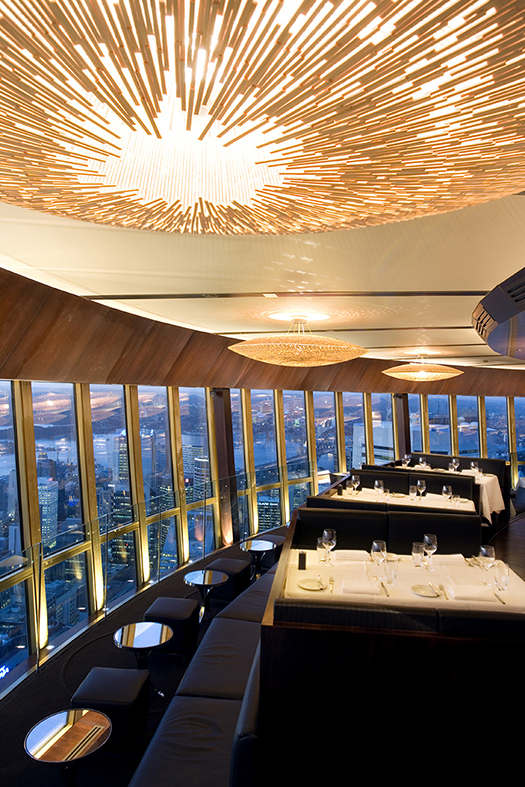 Next to the stunning bird’s-eye view of the city, the restaurant rotates to offer a 360-degree panorama. The menu is “modern Australian” with delicious fish dishes and a large selection of grill items (boy, do they love their barbie..!) Reserve well in advance on a quiet weekday so you can take your time to enjoy the views. Expect high (and fixed) prices. 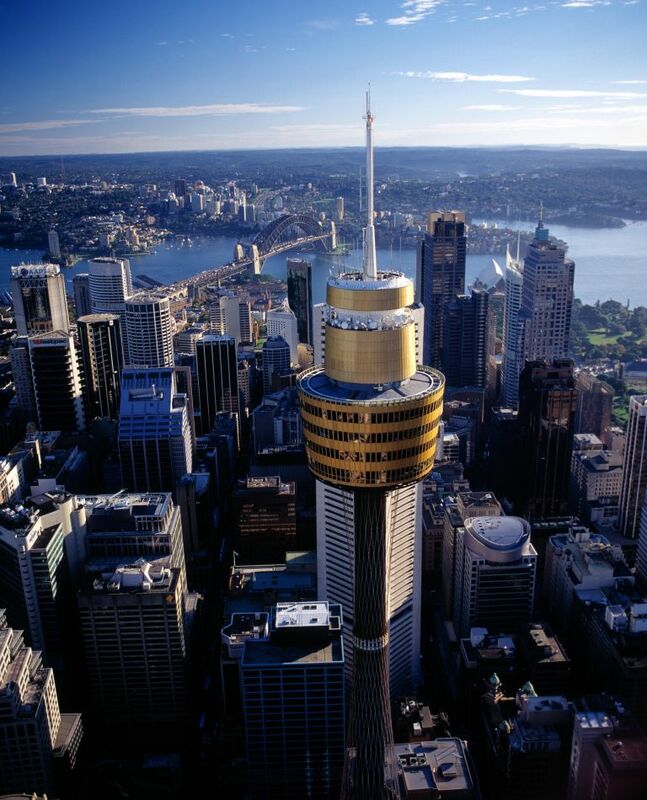 We would definitely recommend it for a special occasion or during a one-time visit to Sydney. Not willing to pay the price but dying to see the views? – Have a drink at the bar, just as spectacular. We’re always thrilled if someone tries to healthy up our beloved – but unwholesome – fast food items. We’re even more thrilled if it concerns a burger grilled to perfection, made with only the freshest ingredients and served with a smile. 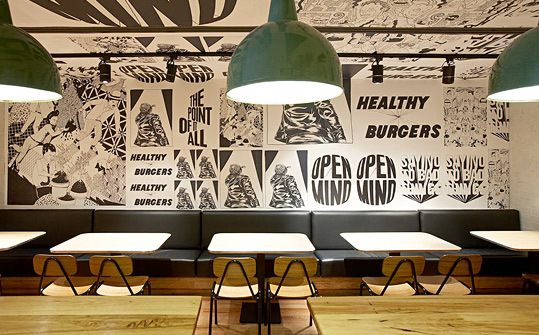 Welcome to Grill’d, Australia’s newest and fastest growing chain of burger restaurants. 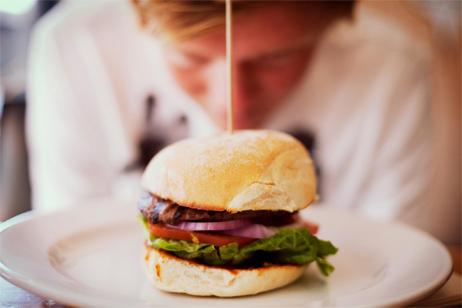 What we love about Grill’d? Of course the never-ending menu of beef, chicken, lamb and veggie burgers to choose from, the friendly staff that seems genuinely happy to work here and the funky interior. Besides doing your body good, you’re also doing good for the community. 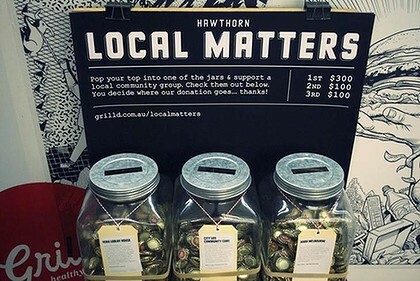 With every burger you buy you receive a token, which allows you to influence to what cause Grill’d will donate money that month. As far as we’re concerned, this place totally justifies eating fast food and paying a little extra for it! The only thing that makes sense in this wine bar in Sydney’s suburb Manly, is its name. 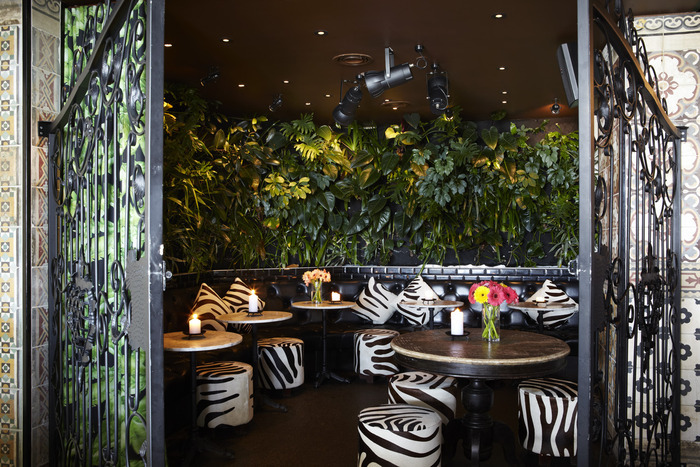 The interior would best be described as vintage-jungle-crazy-chic and features tropical trees, French bistro chairs, zebra prints, pelicans and vintage pin-up posters. 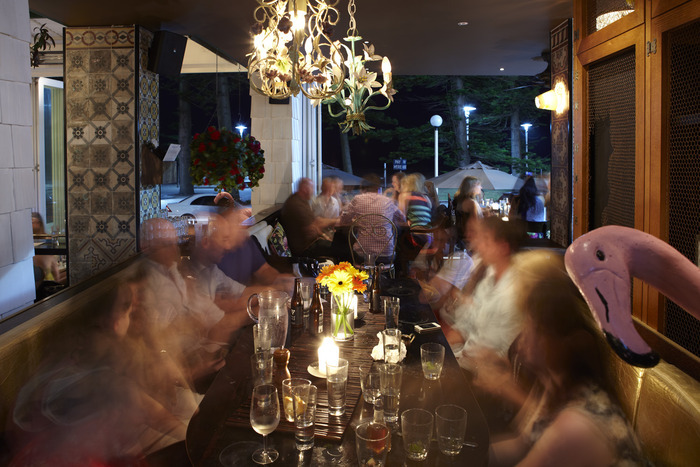 The waiting staff is friendly, witty and knowledgeable and really adds to the already fun vibe. Manly Wine is located right on the ocean and offers stunning views during the day. The Australian menu has a good selection of meat, fish and vegetarian options and the portions are good-sized and decently priced. The wine list is, as can be expected, extensive and boasts local as well as imported wines. Manly Wine is an all-day spot, where you can start your day with brekkie, enjoy lunch to take a break from surfing and end the day with a good glass of wine. They also organize other fun options such as a Girl’s Picnic out on the beach. This place is buzzing with energy, great music and a mind-boggling interior, so make sure you take the Manly ferry on your next visit to Sydney!